Here's just a small sampling of projects we've helped complete over the years. In 2015 and 2016, Buena Vista Environmental Consulting and associates were contracted to conduct preconstruction surveys and monitor construction activities for the Barren Ridge Renewable Transmission Project (BRRTP), which involved replacing existing towers and installing additional appurtenances to support the conductoring of the new 230KV transmission line. The project spanned multiple jurisdictions (incl. private, Bureau of Land Management, and Angeles National Forest lands), spanning 75 miles from Castaic, CA to Mojave, CA. Specifically, staff of Buena Vista Environmental Consulting assisted with implementing mitigation measures to protect nesting birds, rare plants (including seed collection of slender mariposa lily and salvage of short-joint beavertail cactus), and native vegetation/habitat and wildlife. This project is currently on-going. In 2015, Buena Vista Environmental Consulting was contracted to conduct botanical surveys on a planned 65-mile pipeline project. 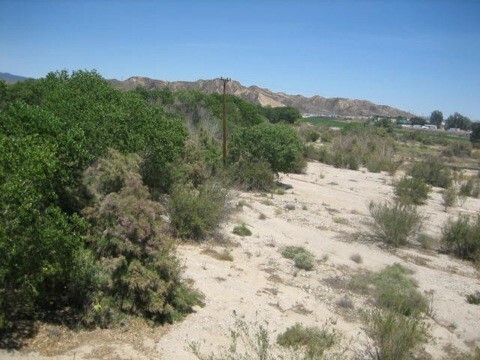 The project extents from the cities of Adelanto to Moreno Valley, crossing private lands, nationals forest lands (San Bernardino National Forest), and multiple jurisdictions (multiple cities incl. public lands), and passes through many diverse plant communities. During the course of the project additional tasks were assigned including vegetation mapping and weed mapping. In 2014, SCE proposed to remove idle poles located on the Guitar 16KV Circuit in Castaic, CA. Due to the location of some poles within and adjacent to Castaic Creek, a major ephemeral creek and tributary to the Santa Clara River, a jurisdictional delineation and biological assessment was requested. Buena Vista Environmental Consulting successfully completed reporting for this project in less than one month from the initial task order request.